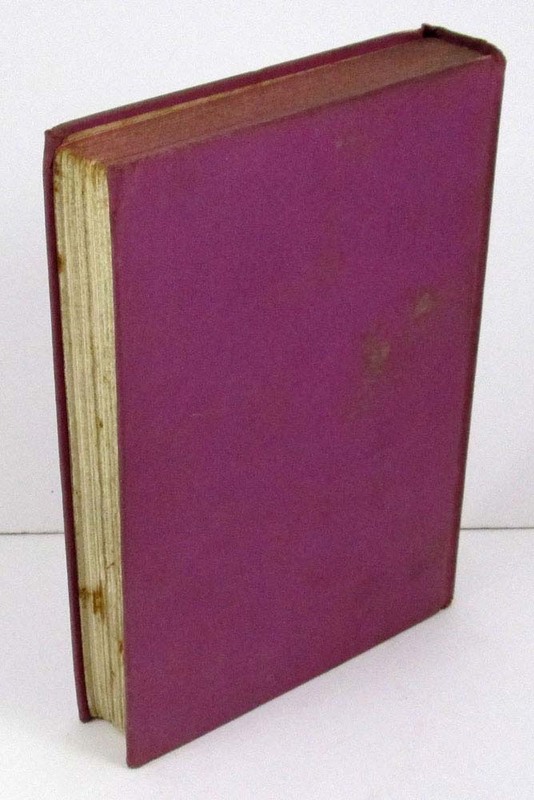 Description: Name in ink to front endpaper, a few dark tan spots to the fore edge and light tanning to endpapers, small book shop sticker (Twickenham Book Shop, Ardmore, PA) to the back pastedown, otherwise clean hardcover in purple cloth with gilt lettering to front and spine and red topstain. Square binding with no cracks, corners and spine ends very gently rubbed and bumped. No dustjacket. NY: E.P. Dutton, 1933. 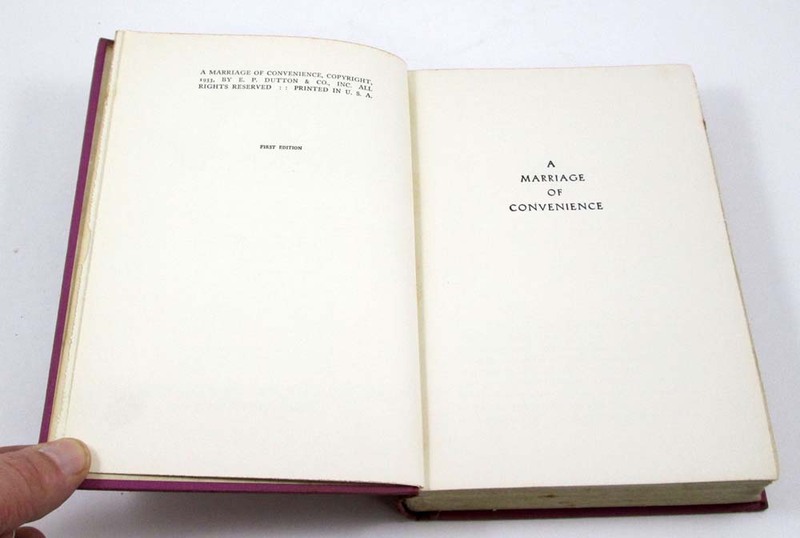 Stated First Edition, NAP. 303 pages. - A classic romantic comedy, this story revolves around the riotous romance of two young people in an arranged match. 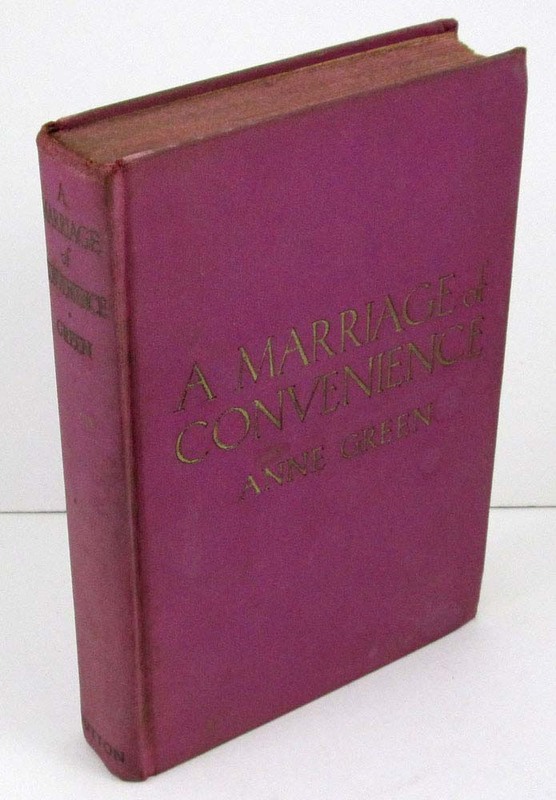 Anne Green (1891-1979) was an American writer and translator, the sister of Julien Green. 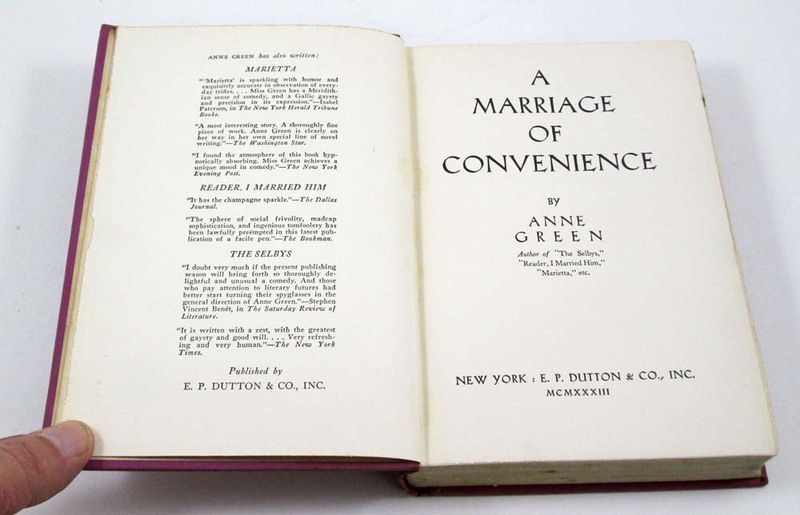 Her best known work is the 1948 "With Much Love," a fictionalized account of her childhood memories. She wrote fifteen novels and several volumes of short stories, most in English. - - Carefully packed and promptly shipped with tracking provided.